Throughout the opening credits of John Schlesinger’s 1963 film Billy Liar, the camera pans along lines of buildings in a northern English town. Although there’s some diversity of styles from shot to shot — apartment blocks, row homes, Tudor cottages — each row in and of itself is strikingly unvaried and repetitive, and the overall effect is of a certain dull monotony. A radio show aimed at housewives provides accompaniment as these images roll past, creating the impression that all of the homes, regardless of their appearances, are united by mundane domesticity. However, within the walls of one of them, a young man named Billy Fisher (Tom Courtenay) is daydreaming about a much more thrilling existence. In the real world, Billy resides with his parents (Wilfred Pickles, Mona Washbourne) and grandmother (Ethel Griffies) in a house that’s comfortable enough (his father owns a radio rental business) but decidedly modest, too much so for his grandiose imagination. Moreover, he’s far from a hero in the eyes of his family members: They criticize him constantly for getting up too late in the morning, for staying out too late at night, for seeing too many girls. It may sound as if they’re being unnecessarily hard on him, and that might be true if he were just a daydreamer, lazy yet otherwise harmless — but that’s not the case. Billy is also, as the film’s title indicates, a compulsive liar, and it seems as if he’s on the verge of being swallowed up by his many falsehoods. For starters, he’s managed to acquire two fiancees, Barbara (Helen Fraser) and Rita (Gwendolyn Watts), and has to keep them from finding out about each other, despite the fact that he only has one engagement ring between them. Then there’s the matter of the calendars that he was supposed to mail out at Christmas on behalf of the funeral furnishing firm where he works; instead of following orders, he kept the postage money for himself and now has to dispose of over two hundred calendars without anyone catching on. He lies to make himself look good. He lies to get out of trouble. He even lies when he’s trying to tell the truth. Small wonder, then, that his family is disinclined to believe him when he announces that he’s moving to London to become a scriptwriter for comedian Danny Boon (Leslie Randall). “He won’t have a job anywhere, never mind London, if he goes on at this rate,” his mother says, and his father grumbles, “He’s not going to London. It’s another of his stories.” True or not, it’s certainly in keeping with Billy’s fantasies. He’s not content to lead a prosaic, unremarkable life, the kind of life to which his parents appear to have resigned themselves. “My son also writes songs, but I suppose there’s not much chance for him, as he has not had the training. We are just ordinary folk,” his mother writes in a letter to the aforementioned radio program for housewives; Billy, meanwhile, imagines that she and his father are wealthy and indulgent, and he resents his father’s insistence that he should be grateful for what he has. Perhaps this difference in attitudes is down to a generation gap. Billy and his peers likely would have been born during World War II, making them too young to remember it, at least with any clarity. At one point, Billy and his friend and co-worker Arthur (Rodney Bewes) pause in front of a war memorial to salute, then break into a soft-shoe routine. Not long after that, they mockingly imitate their elderly boss, Councillor Duxbury (Finlay Currie), rambling on about the past and complaining about today’s young people: “They’re not contented. They don’t know when they’re well off.” The world is changing. Even in Billy’s run-of-the-mill town, there are signs of it everywhere: Old buildings are being demolished, a new supermarket is opening and Duxbury’s business partner, Shadrack (Leonard Rossiter), declares that plastic coffins are the wave of the future. With so much happening all around them, it’s no surprise that Billy’s generation hopes and expects to get something more exciting out of life than their elders did. On the other hand, Billy and his parents might have such dissimilar outlooks for the simple reason that they’ve grown up and he hasn’t. While lingering immaturity is natural enough in someone who’s twenty years old or thereabouts, Billy’s issues go beyond the norm, as if he’s incapable of accepting reality. He longs for power, admiration, greatness, but even when he tries to achieve it honestly by working on a book, he ends up spending more time debating how to sign his name than actually writing: “Idle Jack, a novel by Bill Fisher. No, no, a novel by William Fisher. William L. Fisher…” If he’s not envisioning himself as an important figure of one kind or another, he’s putting on an act: wearing a fake monocle at the breakfast table, mimicking Winston Churchill, bantering with Arthur like a music hall comedy duo. Cheers overheard as he walks past a stadium during a soccer game become, in his mind, cheers for him; he goes so far as to lift up his arm to acknowledge them and then starts speechifying aloud. Later on, though, Billy finally finds himself in the real-life spotlight after a band at a local nightclub performs a song he’s written. (By this stage of the film, he’s told so many lies that his claim of authorship a few minutes earlier comes across as yet another bid for attention. It’s almost shocking to see one of his stories validated.) Instead of basking in it, he’s distinctly uncomfortable. Most of his unease can probably be attributed to an awkward incident that’s just taken place and several other problems that have cropped up throughout the day, but it’s clear, too, that he’s not quite as confident as he likes to pretend. In short, Billy is still a child. “Today’s a day for big decisions,” Billy tells himself as he lies in bed at the start of the film. It proves to be an eventful one, at any rate, and by the time he returns home that night, he’s accumulated enough new (and generally negative) life experience to make anybody reflect and mature — yet he walks down the street with an imaginary army at his back. It’s going to take more than a day for Billy Fisher to grow up, and he needs to grow up if he ever wants to turn his dreams into something more substantial. This post is part of The 4th Annual British Invaders Blogathon, hosted by A Shroud of Thoughts. Click the banner above to see all of the other great posts. I haven’t seen this in ages, and it really needs a revisit. The themes will take on different meanings at this stage of my life. You have made me think. I wonder if my inner Billy Liar has grown as much as I think it has. H’m. Yes, I think it’s one of those movies that you’re apt to view differently at different stages of your life: when you’re Billy’s age, when you’re a parent, etc. I have always loved Billy Liar. It is definitely one of my favourite British films of the Sixties. I’ve always thought it was sort of a transitional film between the British New Wave films of the early Sixties and the Swinging London films of the mid-Sixties (even though it is set in the North). After all, you have a rather glum Yorkshire as in earlier British New Wave films, but then you also have a somewhat humorous tone and Billy’s fantasies! It’s a very fun film, but also one that is very deep. 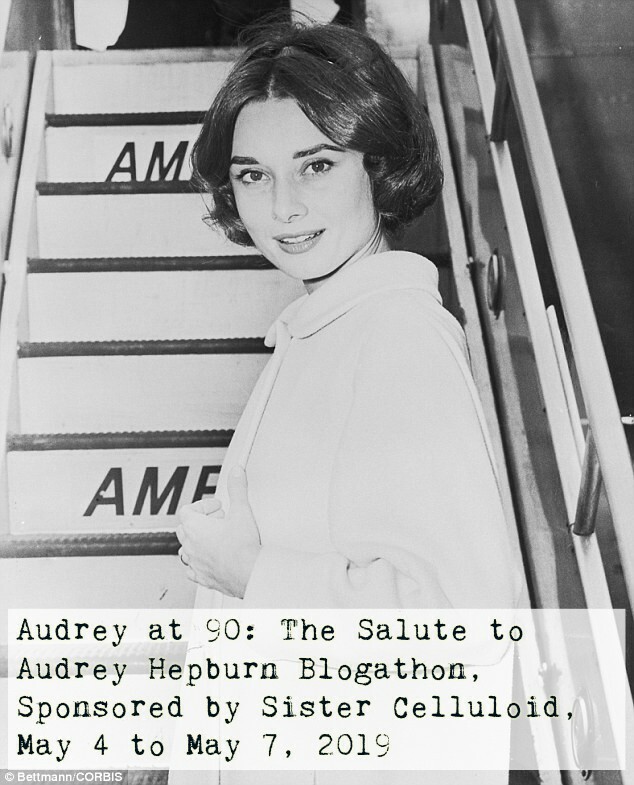 Thank you so much for taking part in the blogathon. You did a wonderful job! Thank you, and thanks for hosting! I’ve always loved Billy Liar too. It touches on a lot of the same themes as some of the heavier British New Wave movies, but it manages to be a lot of fun at the same time. That’s a great point about its being a transitional film, especially with all the talk about London and the character of Liz.